Nanmar is the classic Port Phillip Bay clinker fishing boat built by the renowned Pompei brothers in Mordialloc in the 1960?s. 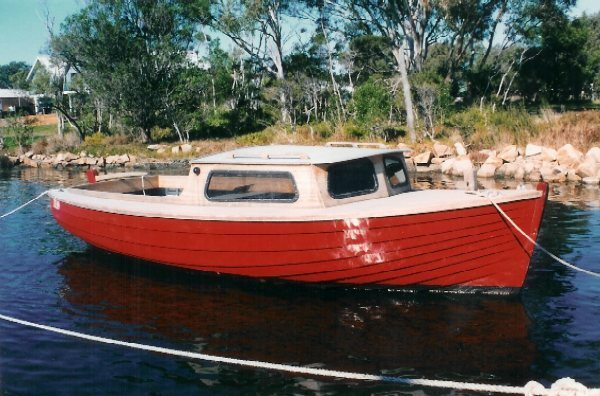 With a new deck and mahogany cabin sides and coaming she is just the boat for puttering around the lakes. Our experience with these classic small day boats and market research has encouraged us to build a new wood epoxy clinker putt putt. We have the plans but not the shop space. See Future Projects. Have a look at our Toonalook.